I recently found a charity called the Little Princess Trust, they offer help to children suffering hair loss through the treatment of cancer and other illnesses. 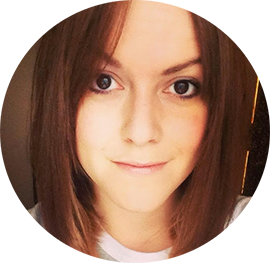 I would love for my blog to be able to help a charity as I think it's a great opportunity to help let others know about a cause you feel strongly about. I picked the Little Princess Trust because, as a hairdresser I know how much people, young or old can care about their hair. It's a very important part of who we are and to have that taken away from us can really affect someone not only on the way the look but how they feel. The charity was started by the parents, school and friends of Hannah Tarplee, who sadly passed away in June 2005 - they wanted to help make specialist wigs for children more accessible as losing their hair can be very traumatic. I can't even imagine losing my hair, and I wouldn't for a second attempt to imagine what the children go through. 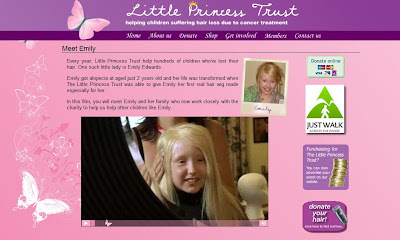 Reading through the website I was touched by the stories told, especially that of Emily, who lost her hair aged two. To see the change in Emily is amazing, and her smile says it all. It's not just the child that benefits, the family supporting them will see a change and that can give many a huge boost at a difficult time. If you'd like to make a donation please visit The Little Princess justgiving page. What a lovely idea. Let me know what you've got planned and I'd love to help. Yay! Missed this post! Fabulous idea and very worthy cause plus I love and admire Gail Porter so much. I'll help, just say the word. I'd love to get involved, let us know what you have planned. What a special cause, great post!